The HiFiBerry Amp is a high-quality, highly efficient Class-D power amplifier for the Raspberry Pi. Mount it onto the Raspberry Pi and you have a stereo audio system. You only have to connect your loudspeakers. It provides up to 60W power. You only need a single 12-24V power supply to power the Raspberry Pi and the Amp2. With 4 Ohm speakers, we recommend 12-18V. Higher operating voltages are only recommended with 8 Ohm speakers. 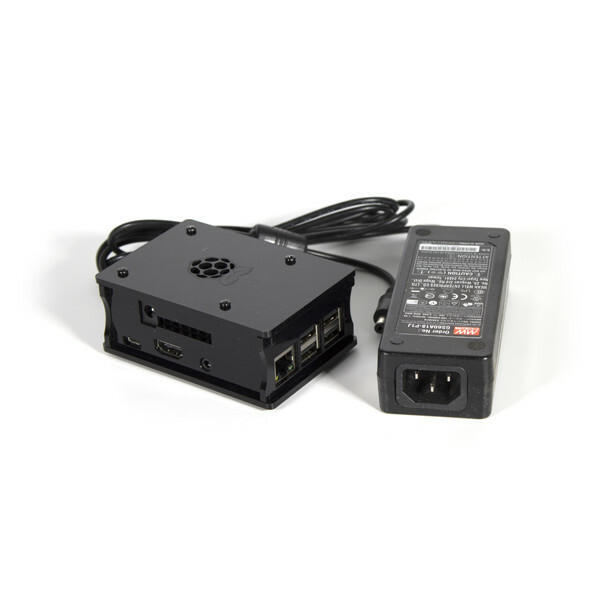 However, even with 8 Ohm speakers an 18V power supply is the best choice in our opinion. It powers the Raspberry Pi, there is no need to add an external 5V power supply to the Raspberry Pi. The Amp2 is designed to work with all speakers or 4-8 Ohm impedance. It supports sample rates from 44.1-192kHz (16-32bit). The speaker connections are the similar as on the Amp+. Note that the polarity of one channel is reversed compared to the Amp+. Check the prints on the PCB for the correct polarity! If the software you’re using doesn’t provide the Amp2 as an output option, you should use the HiFiBerry DAC+ driver as the Amp2 is basically a DAC+ with an integrated power stage.